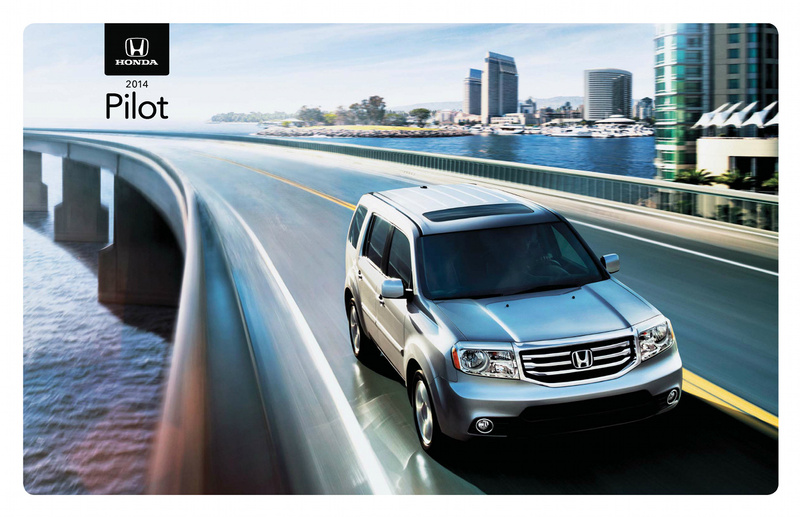 Images from the electronic version of the 2014 Honda Pilot sales brochure. Models include the Pilot LX, EX, and EX-L with and without navigation. Under the hood is a 250hp 3.5L V6.